When it comes to adventure and entertainment, Wisconsin Dells is a city that never runs out of options. Often called “The Water park Capital of the World”, Wisconsin Dells has many indoor and outdoor water parks where tourists can spend quality time with their loved ones. Other attractions include amusement parks, water sports, boat tours, zip lining, casinos, golf courses, go-kart tracks, horseback riding, museums, and more. Accommodations range from themed resorts to budget hotels and motels offering Wisconsin dells suites packages featuring indoor and outdoor water parks and other amenities. Most attractions are located on the Strip, also known as the Wisconsin Dells Parkway. Cascade Mountain is a “paradise” for skiing and snow tubing lovers. The Mountain has a skiable area over 160 acres. With a peak at around 1280 feet and a base at 820 feet, Cascade Mountain features a vertical drop of 460 feet. This area naturally produces almost 5 feet of snow per year, which is well supplemented by artificial snowmaking machines capable of producing full coverage of the trails. You will find plenty of lifts too, including a fast-moving detachable quad chair lift. Adams County is primarily for snowmobile fans. It boasts over 200 miles of well-groomed, state-funded, well-marked trails. There are many snowmobile clubs and associations, which sponsor various snowmobile races and events during the winter months and a few in summer as well. Most restaurants here facilitate snowmobile parking and loading service. If you are looking for cross country skiing trails, Devil’s Lake State Park will definitely interest you. It has over 5 miles of XC ski trails. The park packs the snow on the trail. Since January 2018, the trails have been designated as “multi-use”, which means, apart from cross-country skiing, you can also enjoy hiking, snowshoeing, and more. For couples looking for romantic fireside dining, the Del-Bar is the ultimate destination. This is a place where you don’t rush through a meal and that is what this popular Wisconsin supper club’s experience was always intended to be. Enjoy an impromptu happy hour gathering or a special meal on the last night of your vacation. Apart from just adventure, a family vacation should also have something extra special for every member. In Spa Kalahari, you can relax and rejuvenate your mind, body, and spirit. You are provided with amazing massage, body treatments, skin care, nail care, and other services. Ramada Wisconsin Dells offers true mid-western hospitality in “The Water park Capital Of The World” at very budget-friendly prices. Contact us for Wisconsin Dells packages for families. 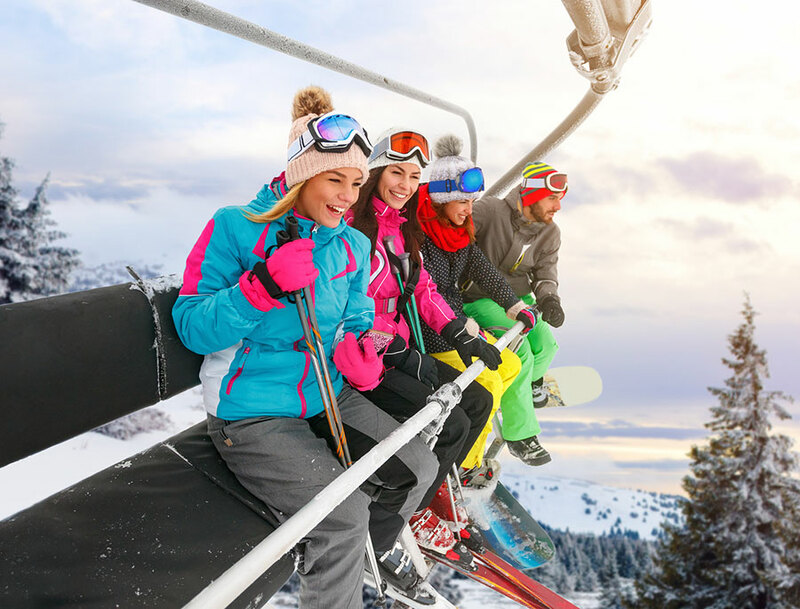 We are conveniently located and provide instant connectivity to the top attractions and major hot-spots of the city including Cascade Mountain Ski Area, Noah’s Ark Water park, Tommy Bartlett Exploratory, Ho-Chunk Gaming & Casino, Circus World Museum, and more.